People say I look like a yellow smiley. Got it? Hi! 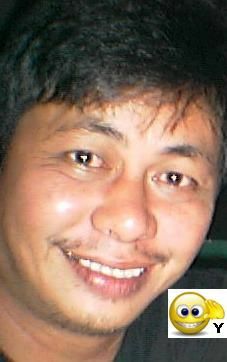 I am julio_lacsa from Philippines, Accountant (cpa) by profession, presently employed as an accounting manager. I am a person with deep sense of responsibility and stronger character. I have a lot of friends here because they found me to be nice. I join here for serious relationship. I aspire to have a strong, stable and happy loving family. I am an opposite of a coldmail. Just simple, beautiful, smart, godfearing and have common interest as I do have more particularly for serious relationship who aspire marriage. julio_lacsa hasn't asked any friends to write a recommendation yet. julio_lacsa has not yet answered any of the optional questions that would tell you more about him.